INNOVATE WITHOUT DOUBT. Your job is to go further. Our job is to pave the way. We provide the advanced GNSS and GNSS+INS solutions for some of the world's leading companies to stay in the lead. 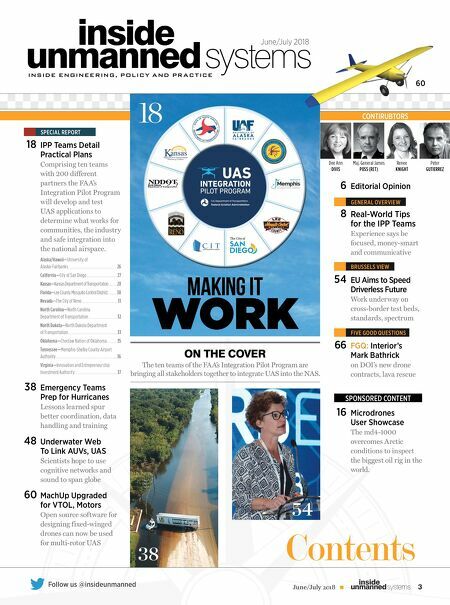 Our quality, integration support and manufacturing capability makes us the surest path to success — a path followed by countless leaders worldwide in the fields of autonomous vehicles, aviation, agriculture, defense, surveying, mining and construction. We can help you, too. 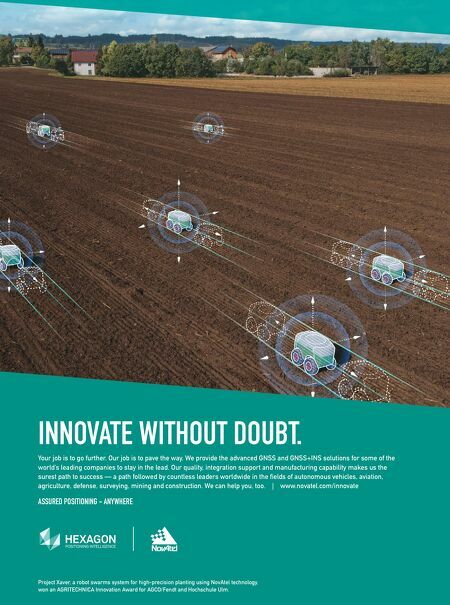 | www.novatel.com/innovate ASSURED POSITIONING - ANYWHERE Project Xaver, a robot swarms system for high-precision planting using NovAtel technology, won an AGRITECHNICA Innovation Award for AGCO/Fendt and Hochschule Ulm.